Gold Leaf Zonal Pelargonium "Edwards Embers"
Not as well known as his Deacon series of dwarf zonal pelargoniums, The Rev. Stanley Stringer also introduced in the 1970’s and 80’s, a series of dwarf and miniature zonal pelargoniums with the prefix “Occold”. The series was named for the village of Occold in Suffolk in which he then lived. Introduced in 1984, "Occold Shield" is a dwarf plant with orangey red semi double flowers. But take a look at the leaves - you can see "Occold Shield" was quite obviously named for the large dark blotch in the centre of the gold leaf. It is a quite stunning plant. Congratulations to Fibrex Nurseries for their Gold Medal win at Chelsea 2014. The display was magnificent and the award well deserved. 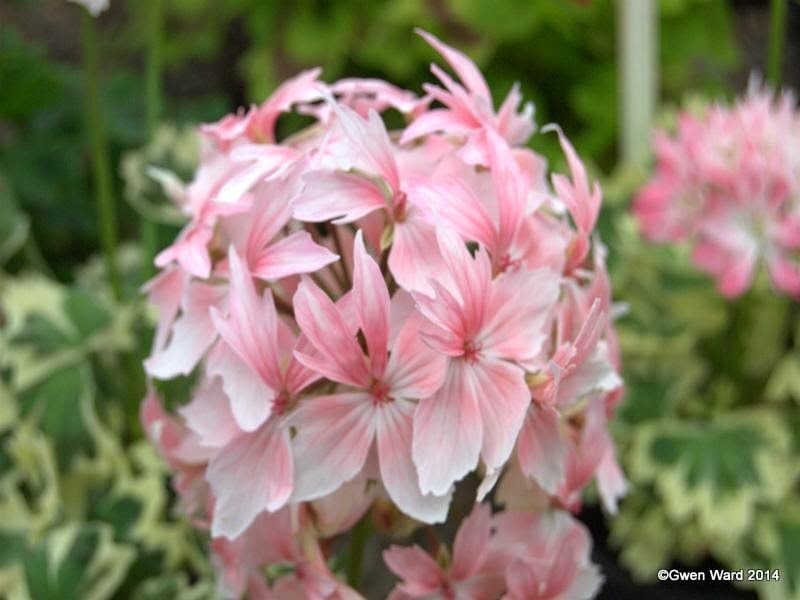 Raised by Steve Pollard in 2003, the bi-coloured stellar "Barbara Lambert", was introduced by both Fibrex Nurseries, and Gosbrook Pelargoniums in 2009. It has proved to be yet another popular raising by Steve who consistently introduces plants to a high standard. 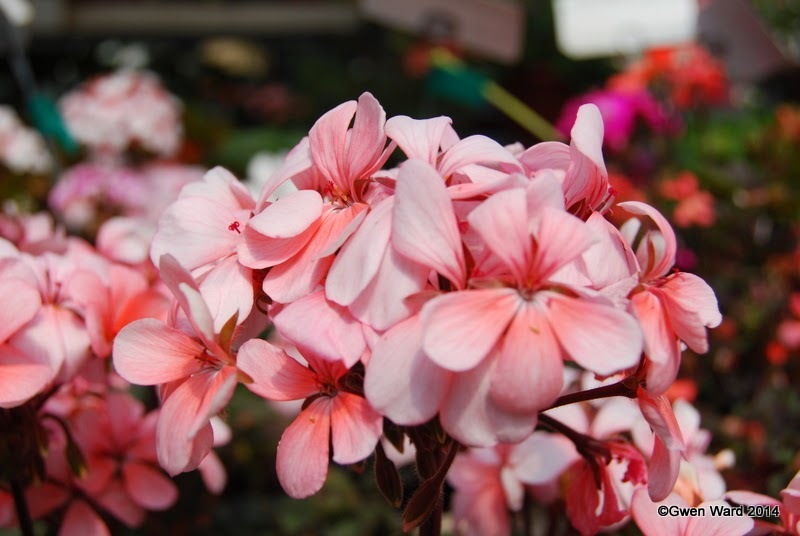 "Barbara Lambert" is a dwarf, bi-coloured stellar pelargonium. Set against white edged green leaves, the single flowers are a light salmon colour with slightly darker upper petals deepening at the centre. The lower petals fade from white to palest salmon to white.